Bored of Bangkok? Here are 6 Euro themed attractions within a few hours’ drive that will transport you far, far away. Offering entertainments for the whole family, Santorini Park (www.santoriniparkchaam.com) is an amusement park with architecture inspired by Greece’s Santorini Island. Not only does it offer many rides, it also has a shopping area with premium brands, numerous restaurants and The Water Fantasy Park next door, which offers a host of different slides, pools and waterways. While you are at the water park, try the Ares’s King Cobra a huge slide that lets two people race on tubes through the twists and turns of the snake’s back, hitting speeds of up to 50kph before appearing to be swallowed into the snake’s mouth. Entry is B50 per person. For the water park, tickets are B700 for adults and B400 for children. Open Mon-Fri 10am-9pm, Fri-Sun 9am-9pm. The farm is home to numerous fluffy sheep that you can play with. Set opposite the Greek-themed Satorini Park, Swiss Sheep Farm (www.swisssheepfarm.com, 032-772-495) is operated by the owner of Swiss Valley Resort, in Suan Phueng. 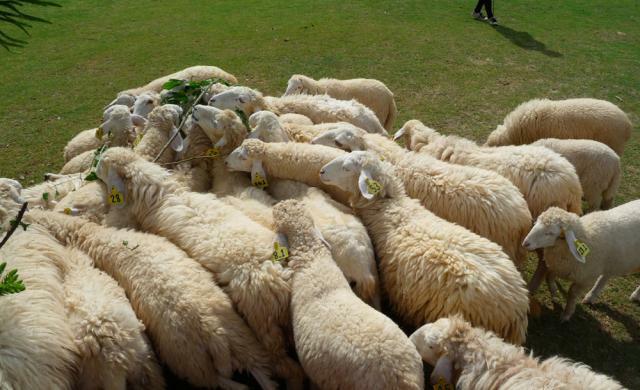 The story goes that the sheep-loving owner wanted to make his ovine friends available to a wider audience. So if you want to cozy up to wooly sheep, the Cha-Am location allows you to pet, feed and pose with the creatures for B50. A Christmas-themed shop, windmill and activities like archery are also available on-site. Open Mon-Fri 10am-7pm, Sat-Sun 9am-7pm. 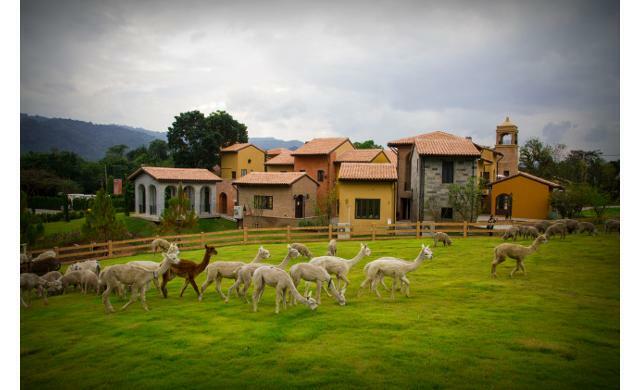 After a massive revamp what was formerly called Primo Pasto, Primo Piazza (www.primopiazza.com) opened in December last year in Khao Yai, a popular country getaway a couple of hours north of Bangkok. The spacious complex features classic Italian architecture and is set in a tranquil spot amid copious greenery. Here you’ll find Western and Thai fusion cuisine, a wine bar, café, souvenir shop and an Australian-inspired barn housing numerous fluffy sheep. While you are there, have a drink or a meal outdoors to take in the fresh cool air. Open daily 9am-10pm, closed on Tue-Wed. Admission fees before 6pm are B100 for adults and B50 for children. Only the restaurants, wine bar and souvenir shop are open after 6pm. 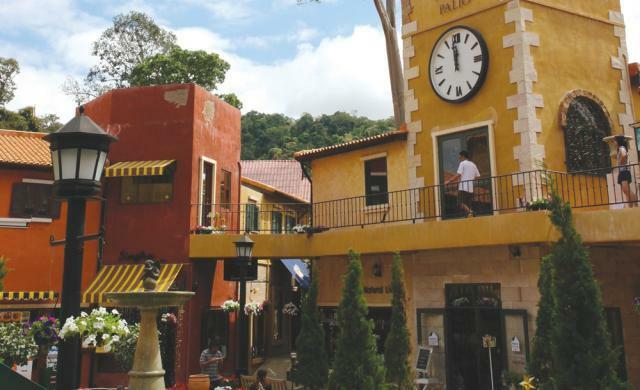 Still popular among Bangkokians who visit Khao Yai, the Tuscan-village themed walking street and shopping complex has a good selection of fashion boutiques, restaurants and bars. Palio also has the boutique resort Palio Inn (www.palio-khaoyai.com), which offers 12 boutique rooms with Italian countryside architecture. In the evenings, sit on the second floor and watch the busy shopping streets below. The room’s terrace is a perfect spot for a cozy breakfast or a chill glass of pre-bedtime wine. Open daily 10am-1pm. 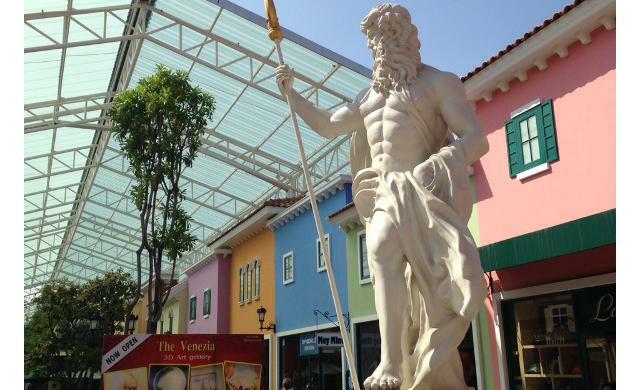 Inspired by the Italian river city of Venice, The Venezia Hua Hin (www.theveneziahuahin.com) features replicas of Venice’s landmarks like St. Mark’s Square and Bell Tower at the main entrance and, of course, human-made canals running throughout. Covering a total 20,000 sq meters with more than 361 retail outlets, the complex features a spacious shopping area, pubs and restaurants, spas and bookstores, an arts and décor zone and a kids zone with mini zoo. 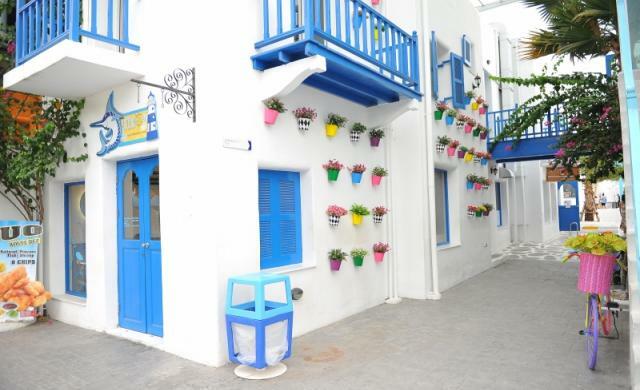 Each zone has a different color of buildings, decorated with Venice-style art pieces, flowers and fountains. Open Mon-Fri 11am-8pm , Sat-Sun 10am-9pm. Inspired by country homes along the River Thames which flows through southern England, this new resort offers a chance to pretend you’re staying at your weekend retreat in the British countryside. Consisting of 58 rooms offering seven different room types, the resort is set on Thanarat Road five minutes from Khao Yai National Park which means you get plenty of nature and some great mountain views. To complete the picture, the resort is home to the Castle Restaurant, offering homemade English favourites like fish & chips and pork chops in an old English manor house setting, which is decorated with dark woods, high ceilings and lots of bare stone walls. Maenwhile, the Clotted Cream Tea Room offers a good selection of TWG Tea, pastries and sandwiches and, of course, the chance to order an English High Tea. 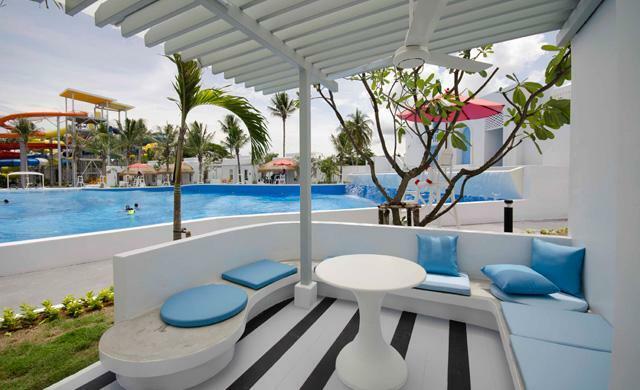 Rates start from B6,000 for a 40-sq-meter deluxe room and it’s B22,000 for a 185-sq-meter duplex pool villa. 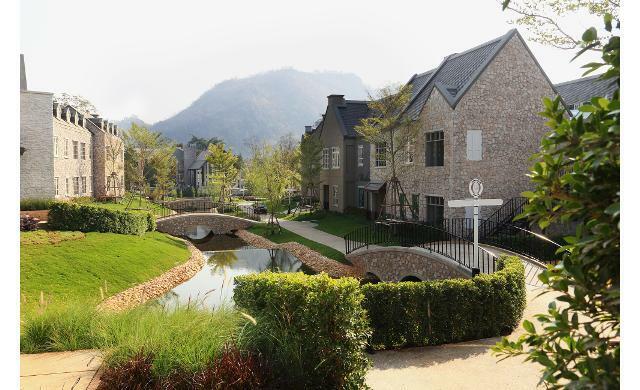 For more information, visit www.thamesvalleykhaoyai.com.